Panthers defensive tackle Star Lotulelei has a fracture in his foot, and won’t be able to go in Saturday’s playoff game at Seattle, a huge blow for a team that needs to find a way to stop the run up front and also keep QB Russell Wilson in check. 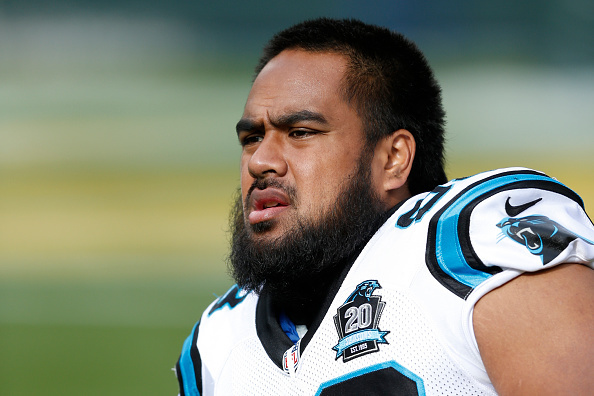 Lotulelei, Carolina’s first-round pick in 2013, practiced Tuesday but missed Wednesday’s practice. It’s unclear how he injured his foot. Lotulelei has been Carolina’s top defensive tackle in the past two games. He registered a career-high seven tackles and two sacks against Atlanta in Week 17 and followed that up with three tackles against the Cardinals in the wild card game. The former first-round pick missed two games earlier this season. The Panthers went 0-2 without him but held up well against the run, surrendering just 89 rush yards per game and 3.49 yards per carry. The Panthers need help against the Seahawks, and it will be up to those other players to make plays for a team that is not getting much respect. According to The Standard, the Panthers are still 12/1 to win the NFC, and 25/1 to win the Super Bowl. The team has the longest odds of any to win the big game in Glendale the first Sunday in February. “We’re not counting him out. If we keep this thing going, he’ll be able to come back to us if we’re still playing in February,” Rivera said of Lotulelei.